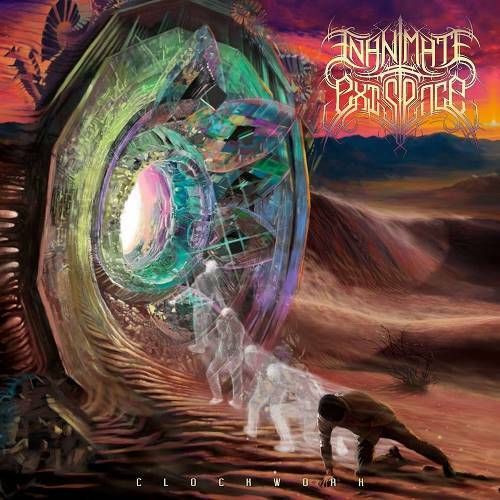 California-based progressive/technical death metal trio Inanimate Existence is proud to announce the upcoming release of their fifth full-length album, Clockwork. 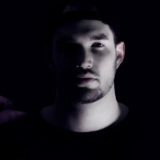 The album is set for a May 10th release date through The Artisan Era. It is the follow up to the group’s highly praised fourth album, Underneath a Melting Sky, which was released in 2017. Active since 2011, the band has yet to slow down in between regular extended touring on a near yearly basis and with four well-received albums released to date already. On Clockwork, Inanimate Existence returns with another intricately crafted death metal experience driven by duality and experimentation. Continuing the group’s evolution found on 2017’s Underneath a Melting Sky, Clockwork delves ever deeper into cerebral progressive death metal depths while buoyed by the group’s established penchant for merciless full-throttle brutality and frenetic tech-death driven terrain. The stunning cover artwork for Clockwork was created by Justin Abraham (Equipoise, Oubliette, A Loathing Requiem, Aepoch) who the band had previously worked with to create the art for Underneath a Melting Sky. 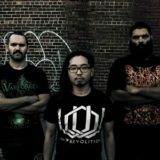 The recording was handled by both the band itself and with usual collaborator Zack Ohren (Fallujah, Continuum, Alterbeast) who mixed and mastered Clockwork at Sharkbite Studios in Oakland, California. Fans of Deeds of Flesh, Decrepit Birth, Continuum, and Arkaik will find much to love throughout Clockwork. Stay tuned for the first single to air in the coming weeks. Pre-orders are now available via The Artisan Era webstore and Bandcamp.